your doorway into a modern, sleek entryway. Available in 32L, 52L, and 68L Sizes. for camping, fishing, and a whole lot more! AdMerch, also known as Adelaide Merchandising, is a proud family owned company specialising in Materials Handling Equipment and Merchandising Products. 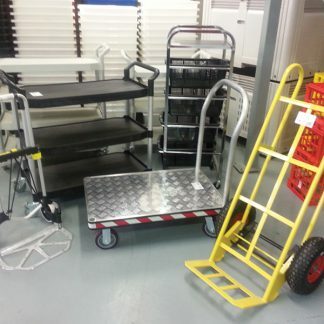 You will find a comprehensive range of products including carts and trolleys, wheels and castors, plastic storage boxes that keep your business running safely and efficiently – for longer. AdMerch don’t stock nasty, fragile, dangerous, and cheap products. Only the strongest, toughest, most effective and longest lasting products are found here – at the lowest prices. They are suited to any type or sized business – industrial, trade, hospitality, medical, aged care, agricultural, corporate office – even your own home. No matter how big or small the job is, we have a materials handling solution for you. Whether it is heavy duty lifting equipment such as a pallet jack or hand trolley, or smaller solutions such as plastic storage boxes, tubs, even a service trolley – we have the stock available today. 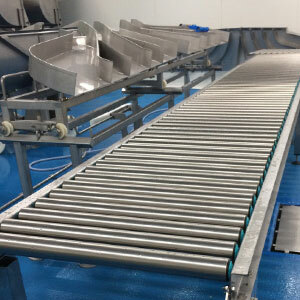 We even have high quality customised conveyor systems ready to make your business run smoother and safer. AdMerch is also proud to stock a complete range of ladders, selected from the top Australian designers and manufacturers who comply with national safety standards. If you are looking for a telescopic ladder, extension ladder, folding ladder – even attic ladders and platform ladders – we have the right size and strength to meet your requirements. This includes a range of roof access ladders. When it comes to safety and protection, AdMerch have you and your floor covered. Our range of surface and floor protectors are more than just furniture feet. We have a solution to protect any surface, including furniture sliders that make moving furniture and other heavy items a breeze. For work safety solutions, AdMerch have a solid range of workplace safety gear, including site safety, office safety, and traffic safety supplies. This includes bollards, cones and hats, and flashing lights used in traffic safety, which are all available at very competitive prices. 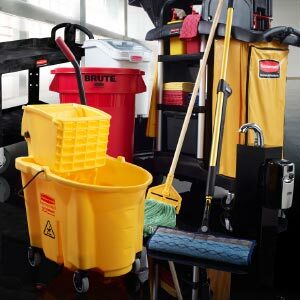 We even have a comprehensive range of commercial cleaning equipment from globally-recognised brands. We only stock industrial cleaning supplies and equipment of the highest quality. But these products can also be used in the home, and for home cleaning services such as domestic cleaners. With 100’s of cleaning products online – you won’t be left high and dry. As you can see, whether you need to move something, lift it, store it, reach it, protect it, or clean it – we’ll be able to help. We even have equipment for the construction of gates, with various security options to control access to your business. This includes the components needed to build a solar powered gate. Plus a complete range of standard and heavy duty wheels and castors from Australia’s leading Castor Company. Other products include adjustable leveling feet, plastic jerry can/petrol can, and a multitude of plastic storage, stack and nest crates and other storage products. Our family-owned business has decades of experience in materials handling equipment and merchandising products. Our team of professionals are 100% committed to offer industry-leading customer service and knowledge, provided only to help you find the perfect solution. We also have a blog that is regularly updated with handy tips and how-to-guides on various products and their uses. In line with our goal to supply world class products, we are now stocking a huge range of Pelican Products. From the Pelican Micro Case range, Pelican Air Protector Case range, Pelican Storm range right through to Pelican Trimcast Spacecases, AdMerch have you covered and will deliver Australia wide. If you have any questions or concerns with any of our products, or wish to discuss your specific needs and requirements, please do not hesitate to contact us for professional advice and support.